I thought I would let those who don't know, into a couple of London's hidden treasures. If you are new in London, travelling, or like me, familiar with London, you still may not have come across two amazing department stores: Fenwick and Liberty. The funny thing is, I only found out about Liberty three years ago, having wandered off the beaten track, that is Oxford Street and onto Argyll Street. Here you will find a wonderfully hidden building that looks like it has dropped out of the sky, having travelled through time. Half 'tudoresque' and half 'Hogwarts' it looks like something you would find down Diagon Alley. Unfortunately, Liberty loses points for not selling wands and broomsticks, however, it does sell potions in the form of an extensive variety of fragrances, serums, lotions and makeup. 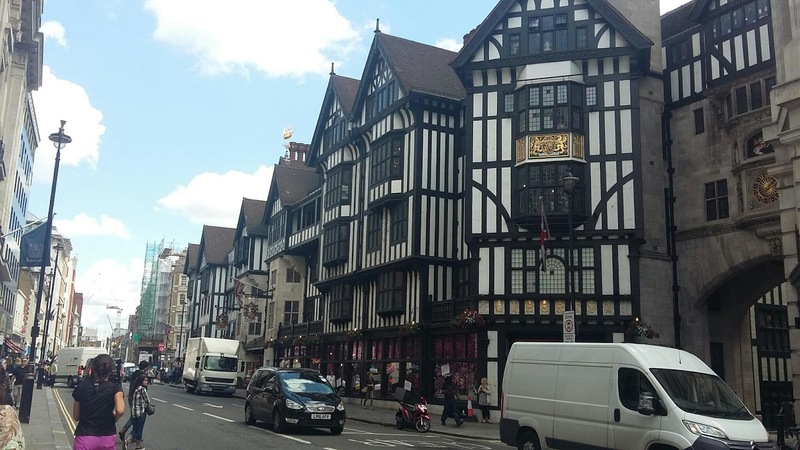 Depending on when you go, Liberty, can be just as busy as the shops on Oxford Street, but it's well worth it if you're looking for a shopping experience in a beautiful setting. Apart from beauty products you will find a range of fashion and fabrics if you follow its old wooden staircases to its various levels. 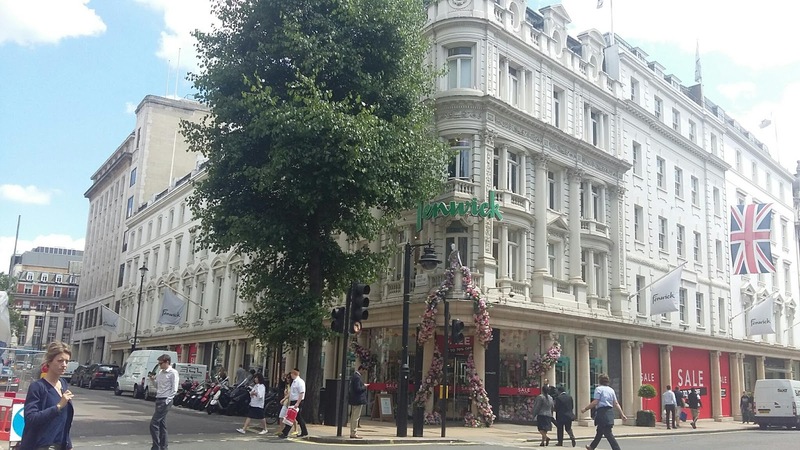 If a more quiet shopping trip is more your thing, why not head across Regent's street and down Bond Street (5 minutes away) to Fenwick. Erect and flagged, the long, chalk white Fenwick's building shouts prestige. Sitting dutifully on the corner of New Bond Street and Brook Street it heads a long line of high end and brand name fashion stores. Inside, the décor is stark, modern and bright. Very much in contrast to that of Liberty's. The focus is on the vast array of beauty and fashion products, a great proportion of which are niche and would be hard to find elsewhere. Since stumbling upon this hidden gem, outside the hustle and bustle of Oxford Street, late last year, I have appreciated its more relaxed atmosphere. Of course, I'm sure a lot of you already know about these stores. What have your experiences been? Have you got any other suggestions for places to shop in London?